This cake converted a non-believer. Someone who, before tasting this cake, did not see the beauty in a kitchen counter top cake with a crumbly knife perched casually, innocently nearby. 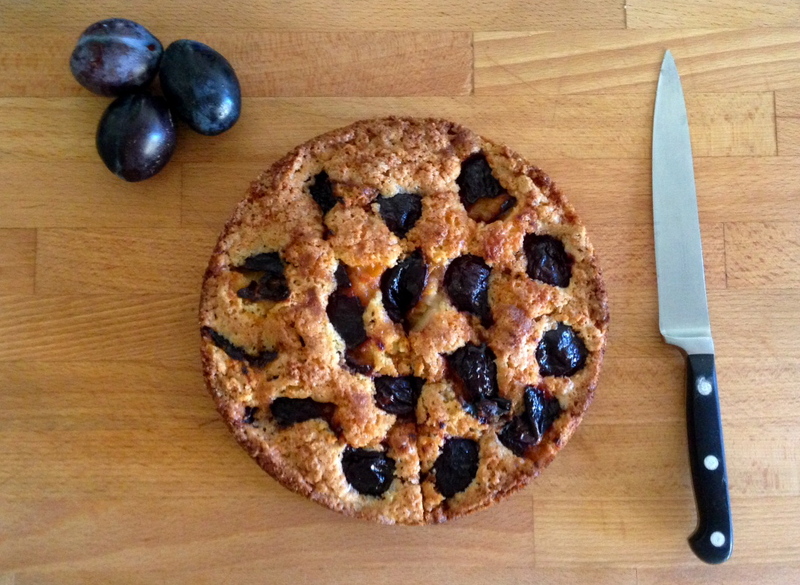 I hadn’t planned to make this cake, but I couldn’t pass by the plums at the market. Nearly overripe stone fruit usually means I’m making this, a tried and true classic. But that day I wanted something simple and pure, something straightforward. No oil, I wanted butter. No spices. Something to sit on the counter next to a knife, something to warm a cool summer day, something to convert a non-believer. Now, I’m planning to make this cake the first chance I get. 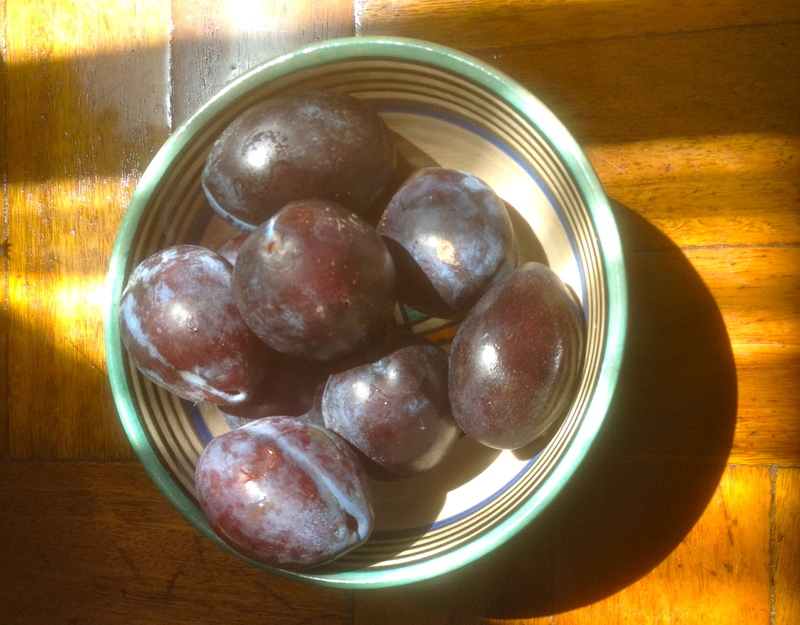 The next cool summer day, or the next time I see plums at the market. Or the next time someone can’t see the beauty of a cake on the counter with a knife perched innocently nearby. Serves 6 – 8. Adapted from a recipe at Food 52. Serve with plain yogurt at breakfast or tea, or vanilla ice cream/unsweetened whipped cream for dessert. For more simple cakes with fruit, see here, here, here, here, here and here. Heat the oven to 350F/180C. Generously butter a 8- or 9-inch spring form pan. Mix the flour and baking powder and salt in a small bowl and set aside. With handheld beaters or by hand with a fork or whisk, cream the sugar and butter until very light and fluffy. Scrape down the sides of the bowl with a spatula. Add the flour mixture and the eggs all at once, and beat until combined, scraping down the bowl. Spread the batter into the prepared pan. 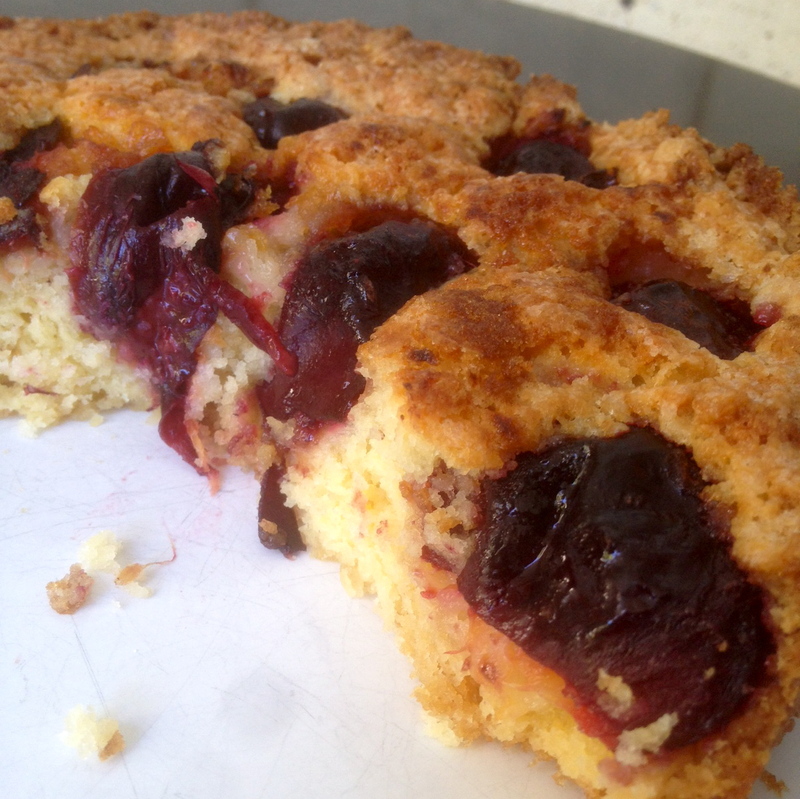 Arrange the plum halves, skin side up, on top of the batter in concentric circles. Really shove in as many as you can fit, as the batter will rise up over them. Sprinkle the batter and fruit lightly with sugar (I used brown). Bake the torte for 40 to 50 minutes, until a toothpick inserted into the middle of the cake comes out clean. Cool the cake in its pan on a rack for 10 minutes, and then release the spring and remove the sides. Wait at least 20 minutes before slicing; once cool enough to slice, serve as soon as possible. It’s ridiculous warm, but still amazingly good at room temperature.